Why ‘back to school’ means you have to think differently about your home security. Home security is important all year round but different times of the year bring with them different areas you need to give attention to. We’ve just finished our summer security series which provided advice for over the summer months based the warmer weather, kids being off school and holidays away – all of which come with some degree of home security risk. Now that period is done and dusted it’s time to consider the next phase and the different set of circumstances that it brings. Most school terms start again this week or next, shortly followed by universities and colleges. For many households this can mean changes in behaviour patterns so you may need to modify your security measures accordingly. 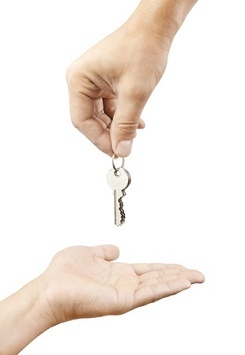 As children get older, particularly as they make the transition to high school, they are often bestowed with the responsibility of having their own key. For many, this is so they can let themselves in when they get home from school when parents are still out at work. Some will even need to let themselves out and lock up in the mornings. Having your own key is a rite of passage and has to be done but it can take a bit of ‘bedding in’ to get used to this new responsibility. With it comes the risk of not locking up properly, of not re-locking the door once home and, of course, losing the key. It’s important to instil what’s expected of them in terms of locking up and, where appropriate, setting and un-setting burglar alarms. A few practice runs may be wise before term starts as new routines combined with first day nerves may not be a great combination! If losing keys is a concern why not attach them to the inside of their school bag with a length of ribbon/cord/chain so that they can use the key without detaching it. If you’re really concerned about them losing keys or remembering to lock up properly you could even consider an electronic door entry system that is operated by a fob/card or keypad (or even fingerprint if you really want something fancy!). These could eradicate the need for a key (though obviously fobs and cards have the same issue) and will lock on closure so no need to remember to lock up. If you opt for a keypad make sure you assign a different code to the door and the alarm so that if one was compromised, the other is still protecting the property. If you work and you have school age children, chances are you may have had time off or had older children at home much more over the summer. As normality returns your home could be unoccupied for much longer periods. It’s therefore important to get back into your old routines of checking that windows are closed, that the alarm is set and doors are properly locked when you leave the house. Those with older children heading off to university, who have been used to them being home after school, may now find that nobody is in until they return home from work. Most burglaries actually take place during the day rather than at night so make sure you have adequate home security while you’re out at work. The beauty of summer holidays is that there’s not too much of a routine, which can make it more difficult for a would-be burglar to pick the best time to make their move. Term time tends to restore much more of a predictable pattern of behaviour. School runs, supermarket shopping days, working hours, lunch dates with friends or trips to the gym often slip into regular weekly schedules. Burglars will often watch for patterns and they can soon learn when they’d be least likely to be disturbed. If you don’t have school age children then you may think that these issues don’t really affect you, however you may find that there are fewer people around generally in the local area and nothing puts a burglar off as much as a busy neighbourhood where they could be spotted. As much as we hate to mention the ‘C’ word in September (sorry! ), in retail terms the countdown to Christmas starts here. That means very organised people starting to buy things in for presents which in turn offers thieves extra motivation to break in – especially if they spot evidence of this such as seeing you bring things into the house or you boast about your efficiency on social media! The risks of a break in are probably fairly similar all year round but it’s the specific nature of those risks that change. Knowing what they are allows you to modify your behaviour and make sure you maximise the protection that your home security offers you. If you would like to discuss your home security needs please give us a call on 0800 612 9799 (from a landline) or 0345 833 5543 (from a mobile). For more tips and advice follow us on Facebook or Twitter.